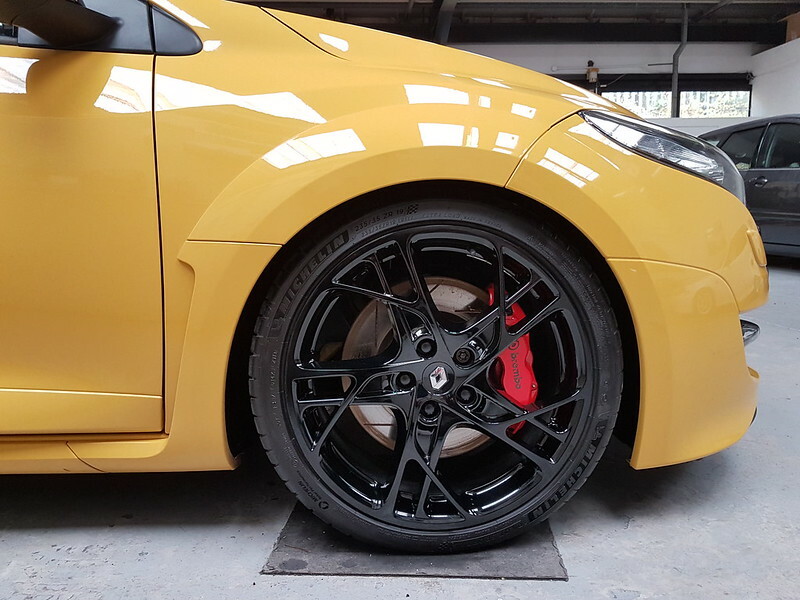 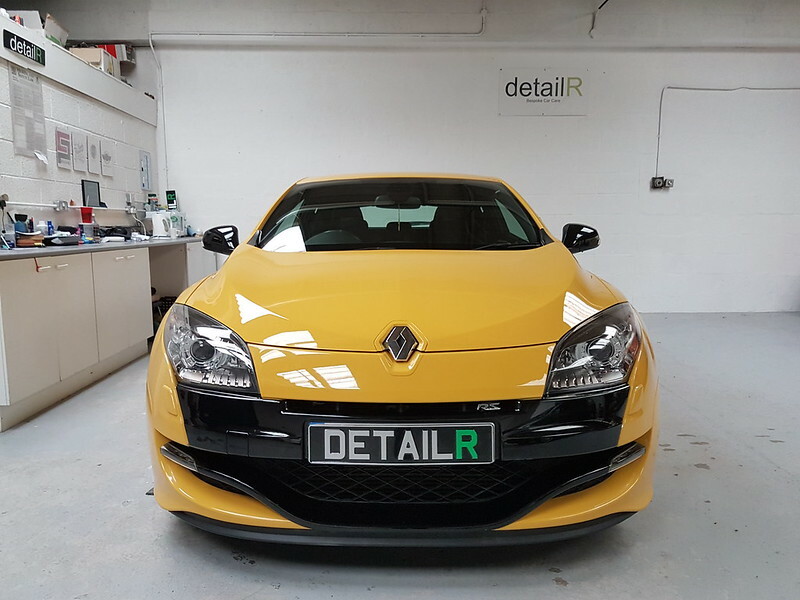 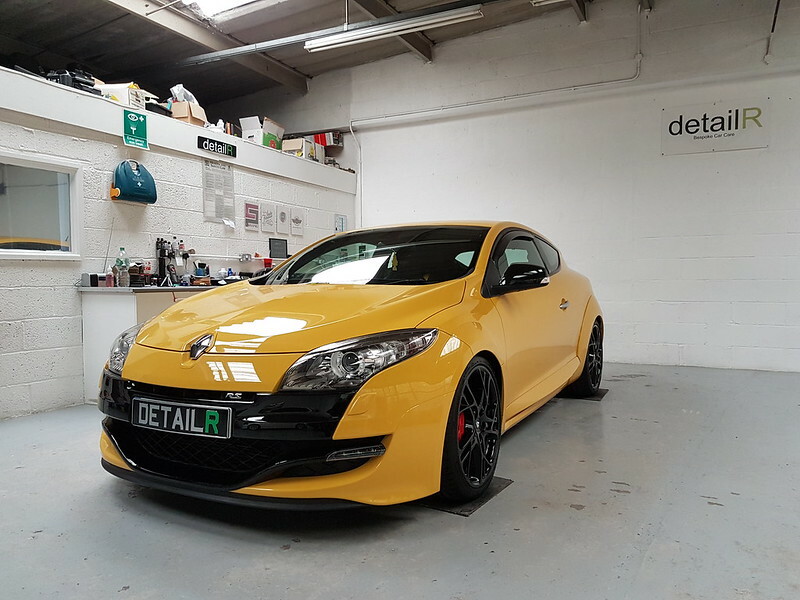 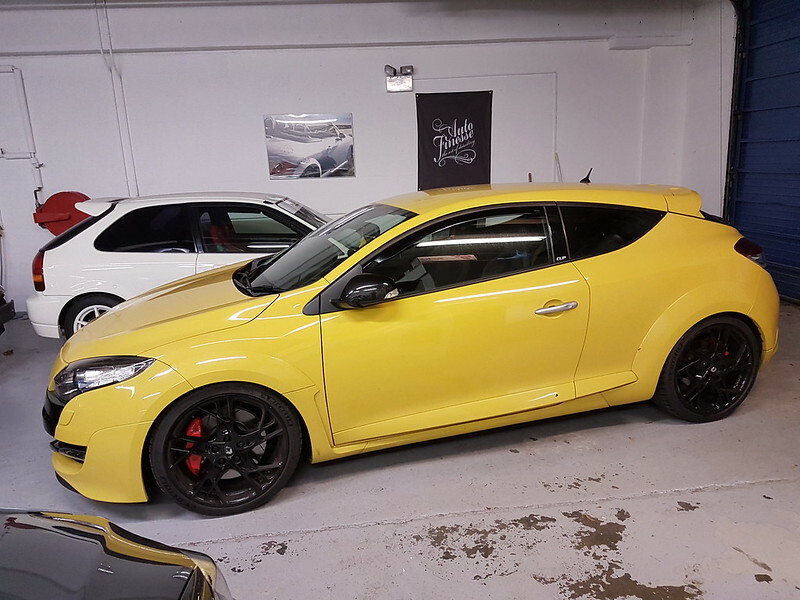 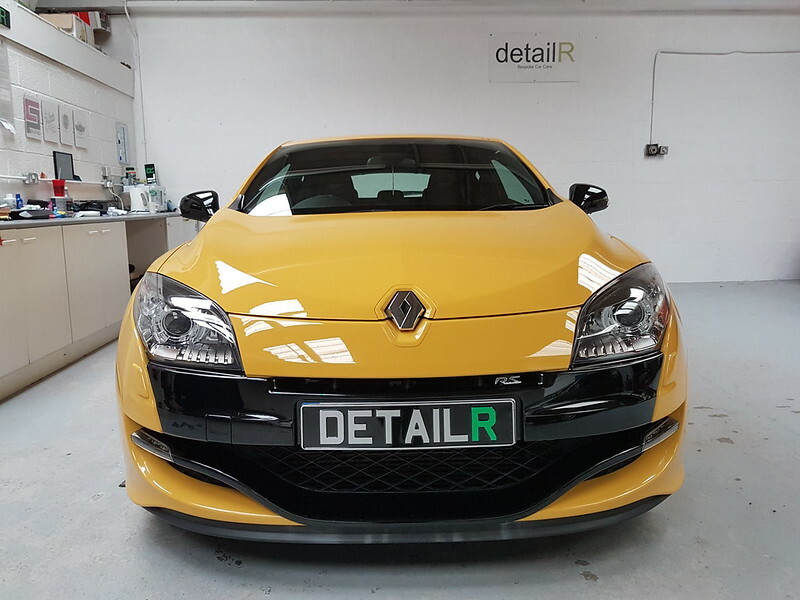 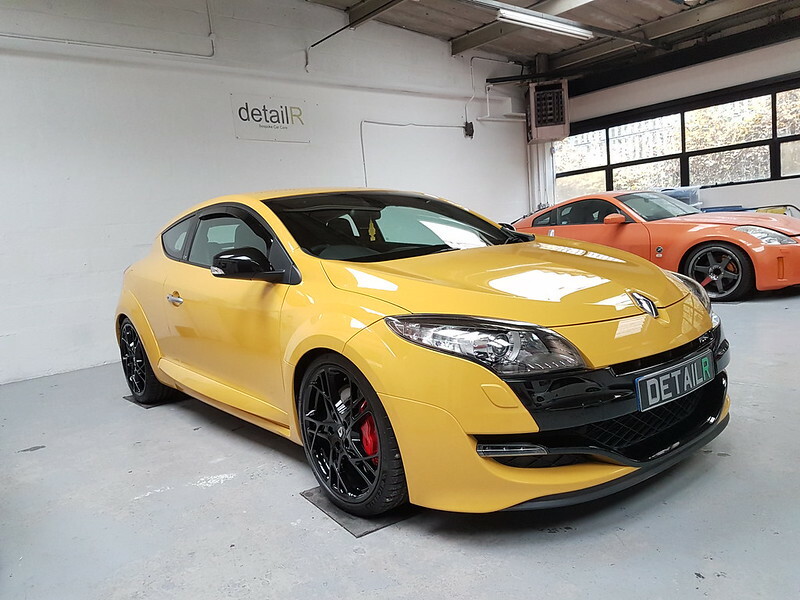 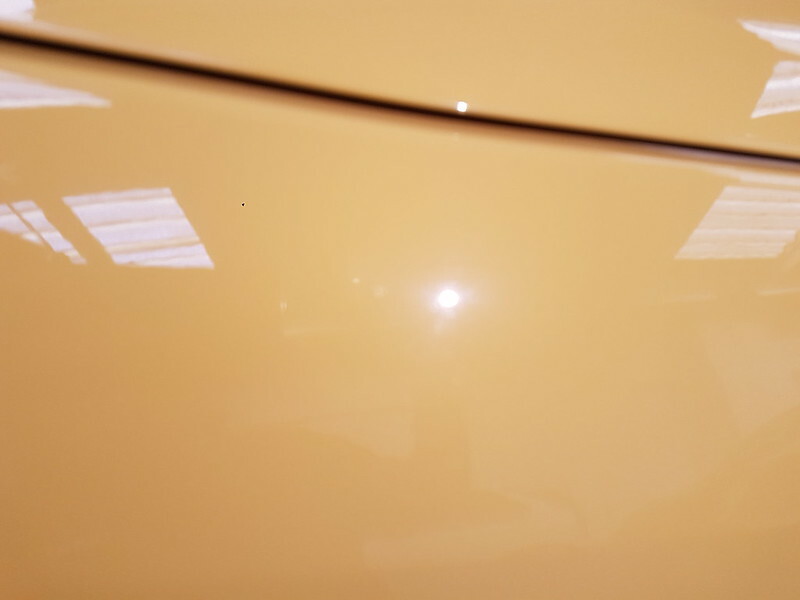 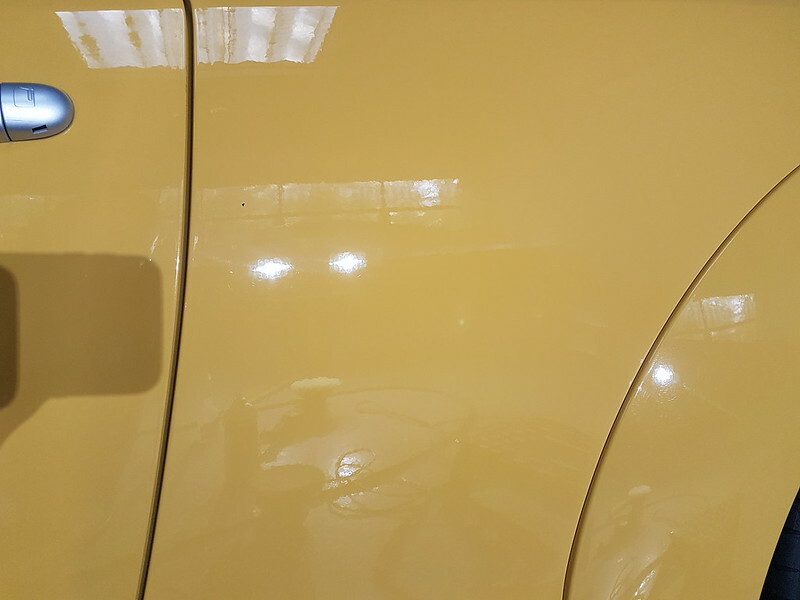 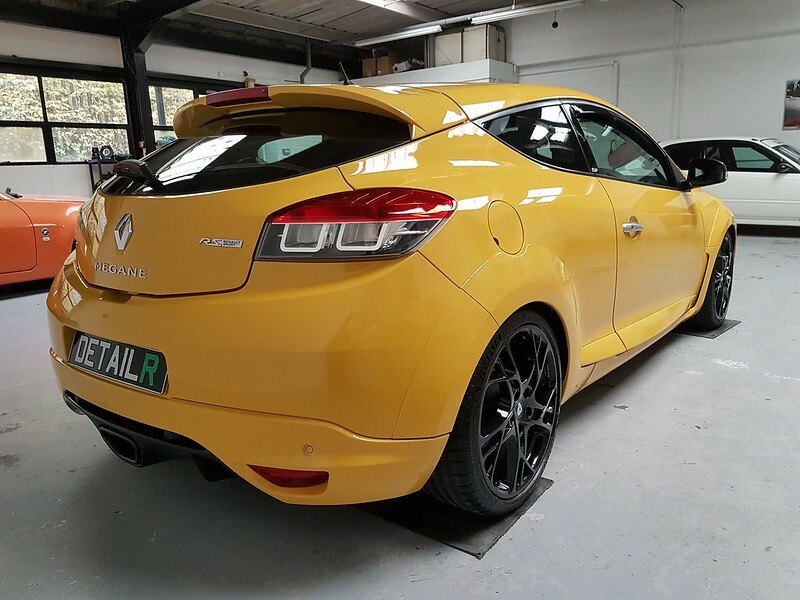 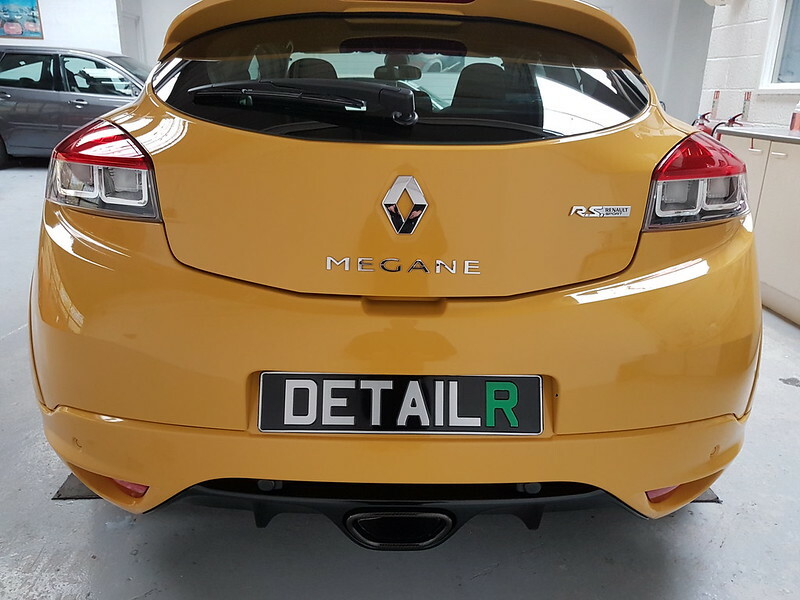 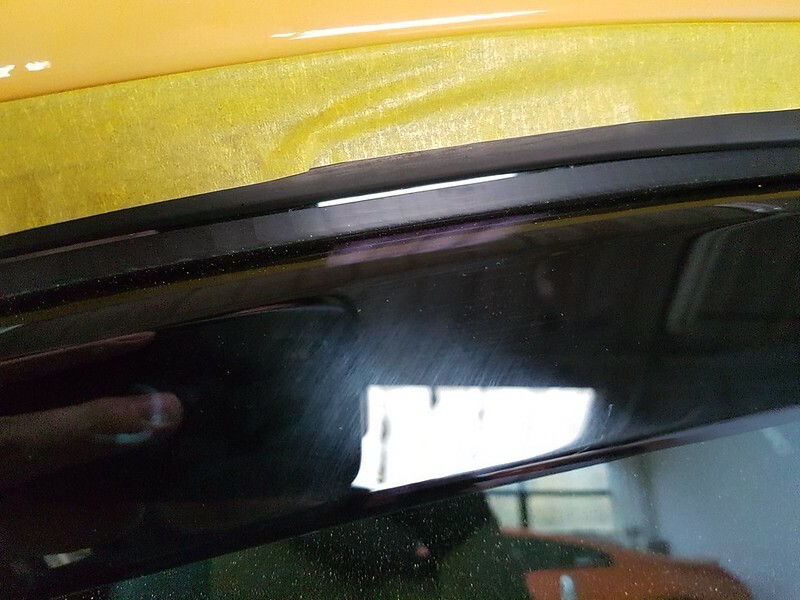 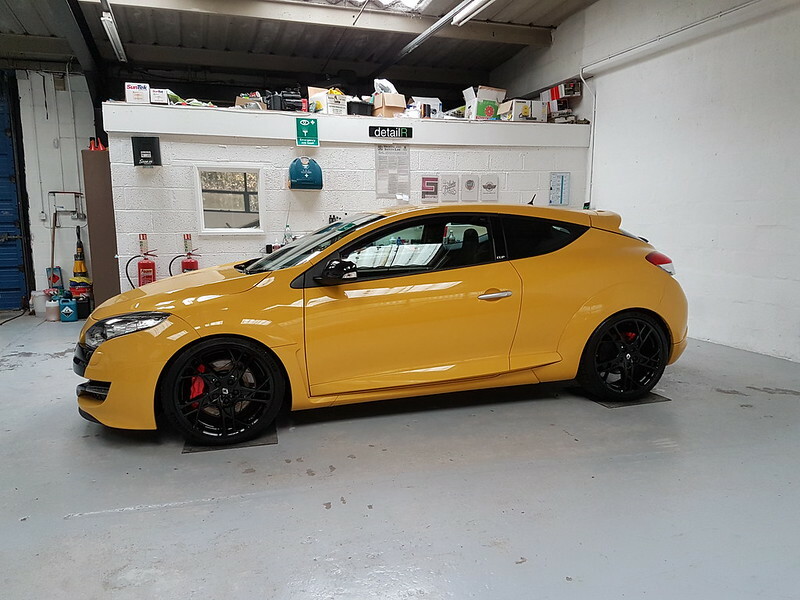 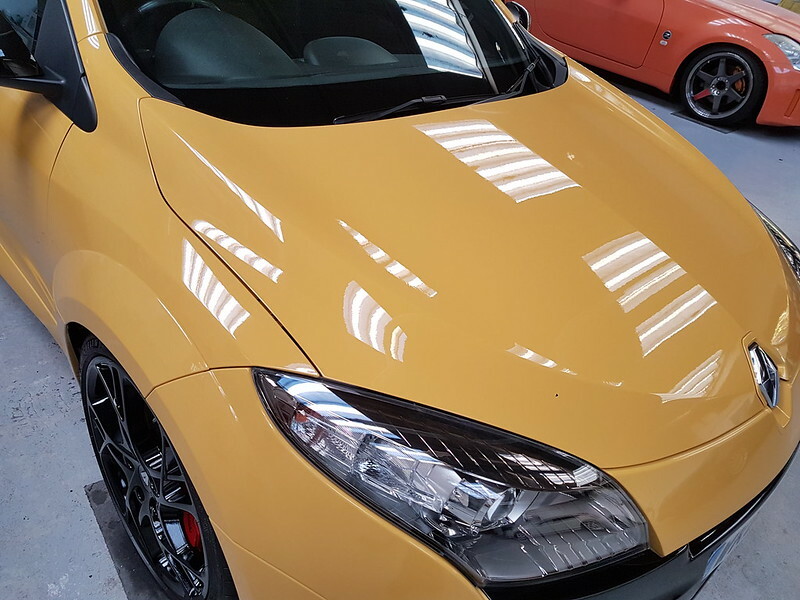 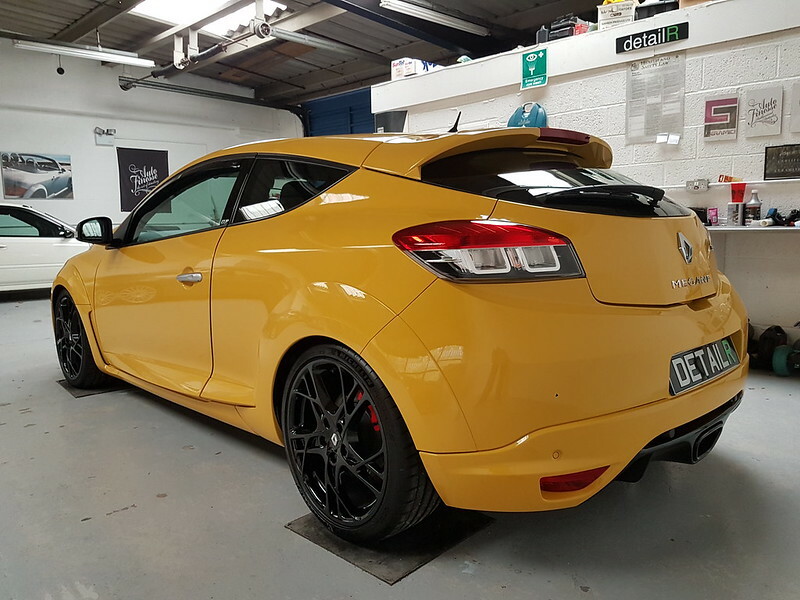 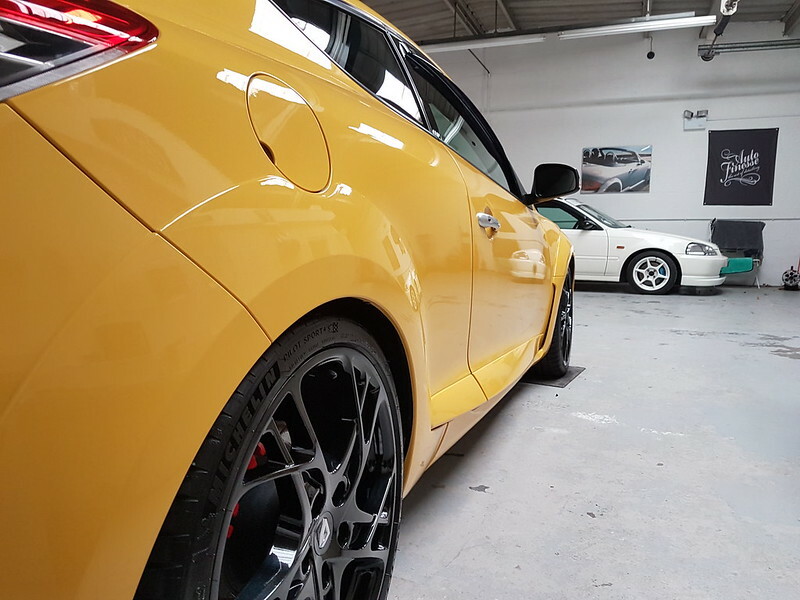 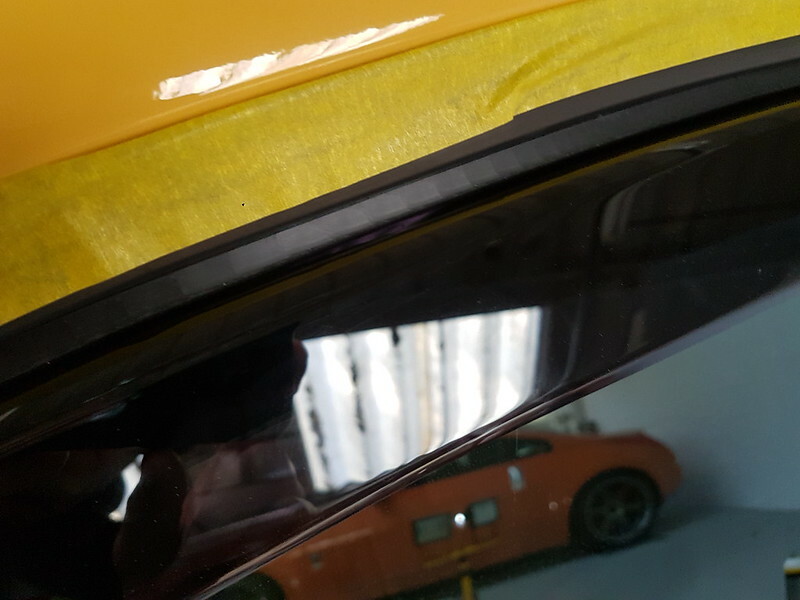 This Sport Yellow RS Megane 250 came in as it was looking a bit dull. 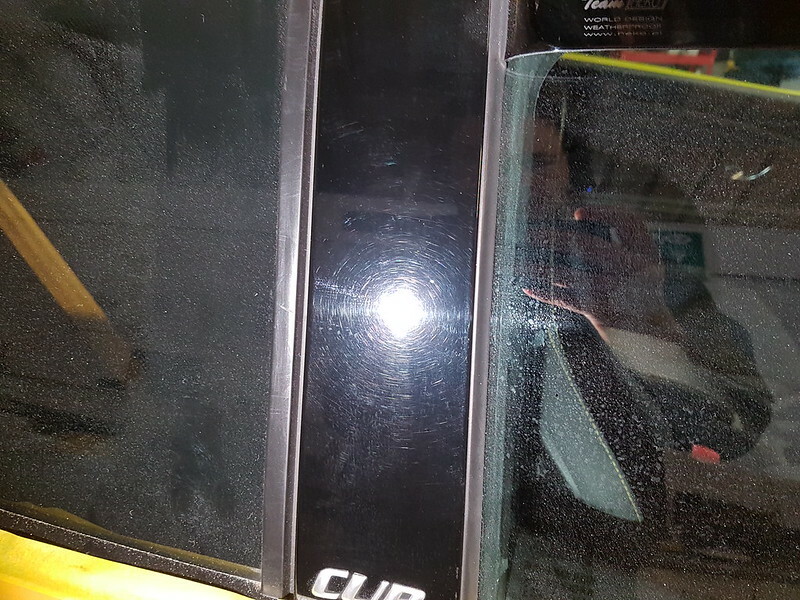 The car had seen it's fair share of automated car washes in the past. 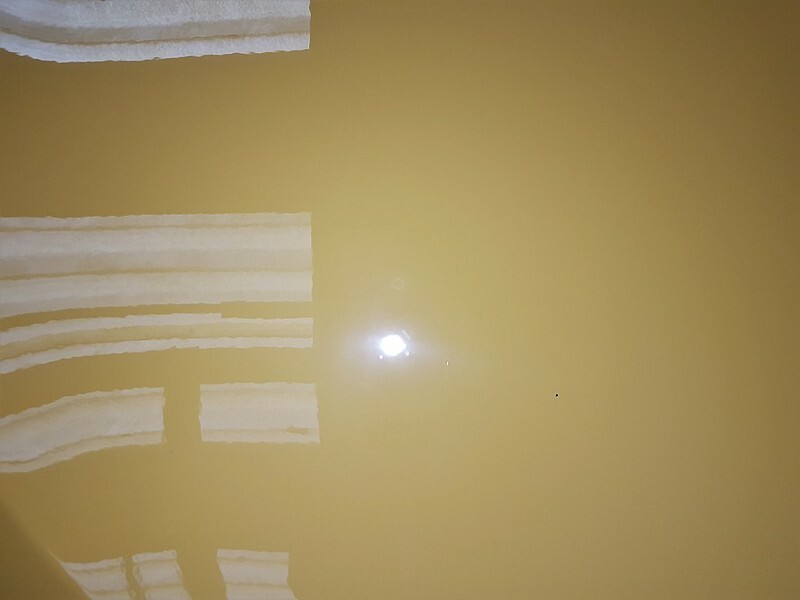 Full ODK Safe wash process. 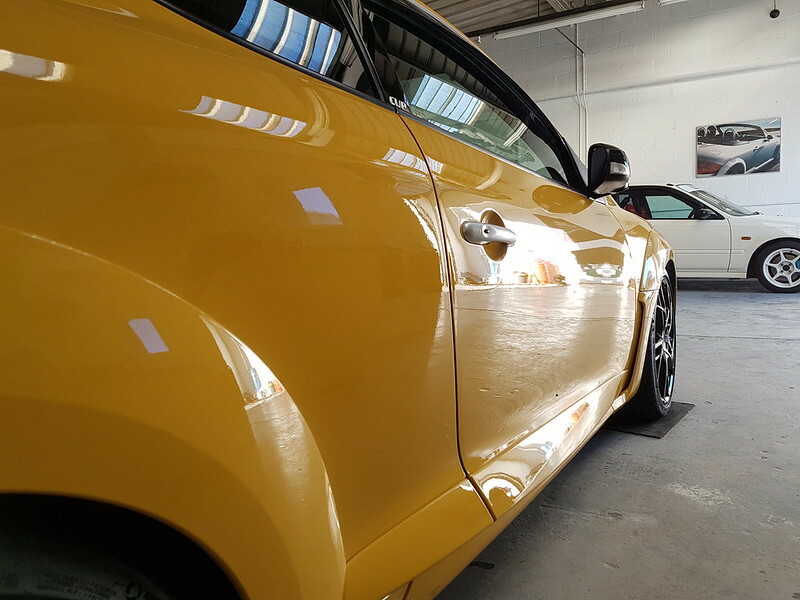 Decontamination - tar removal, iron fallout removal clay bar and an IPA wipe down. 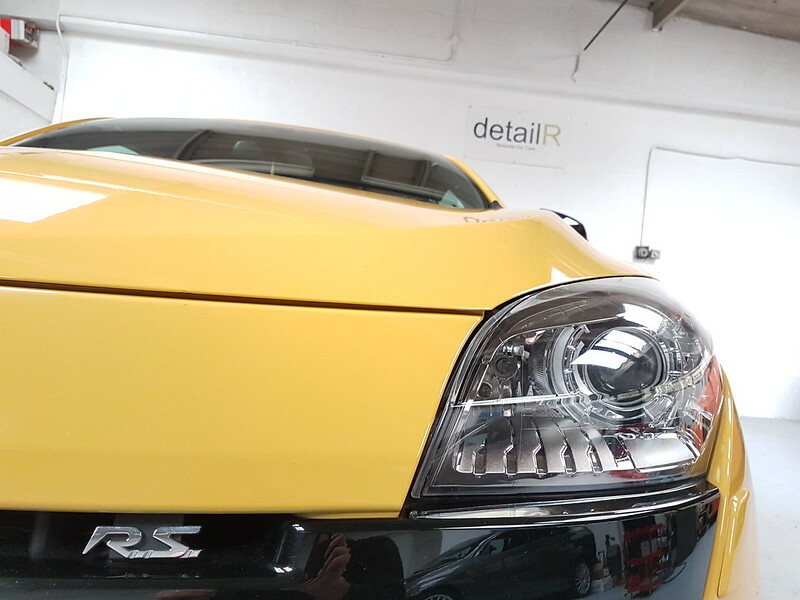 Multi Stage machine polish - most areas received 2 cutting stages, followed by polishing and final refinement. 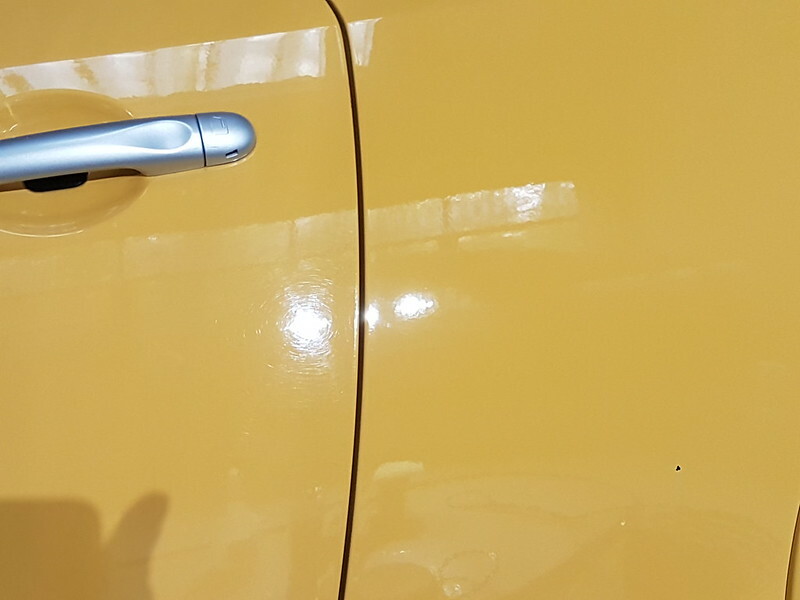 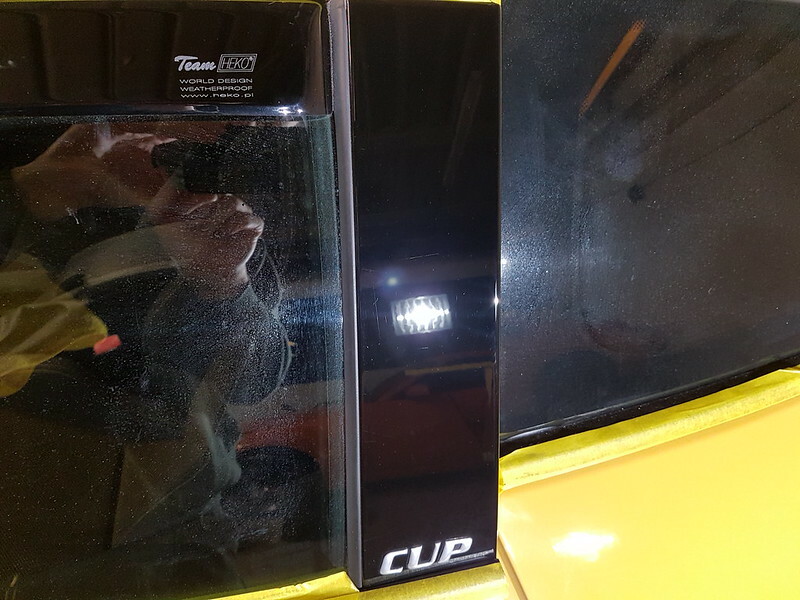 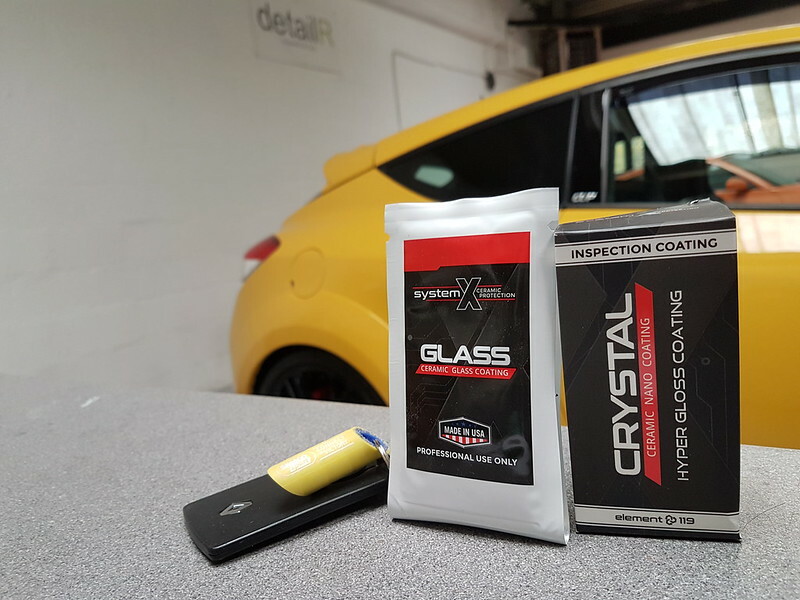 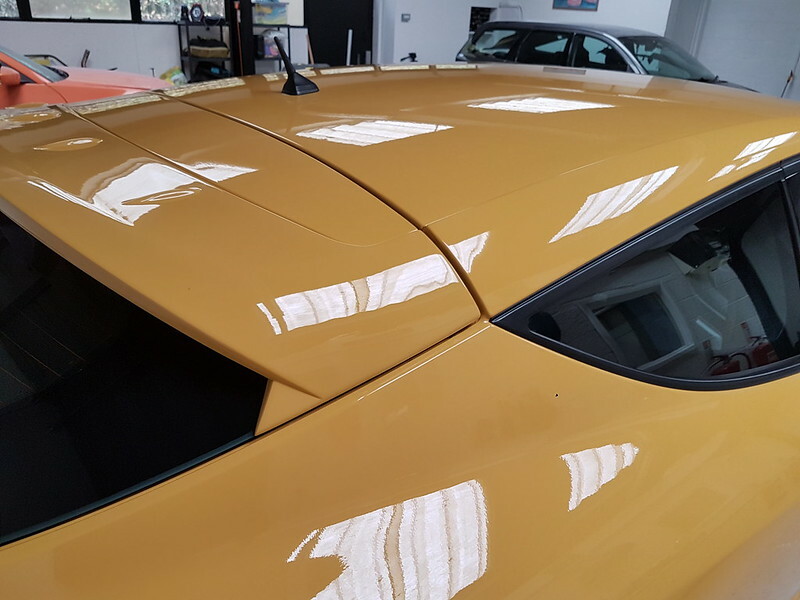 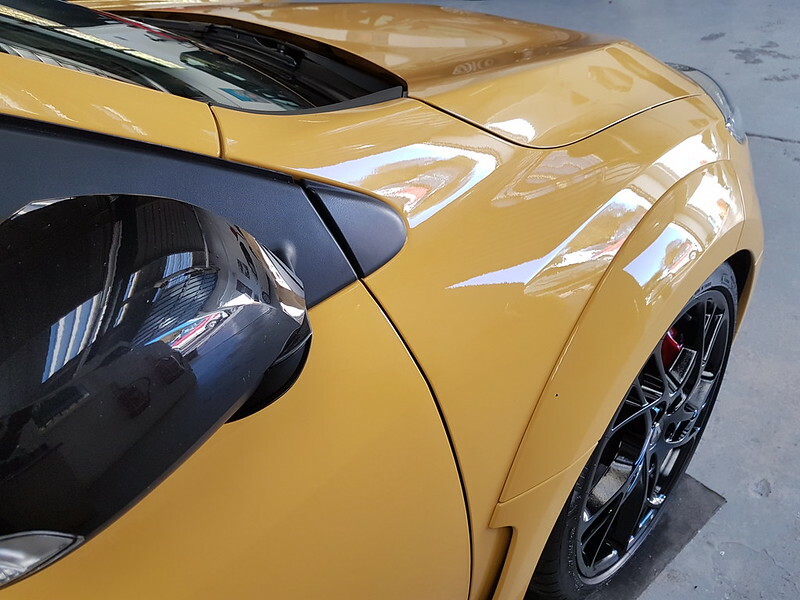 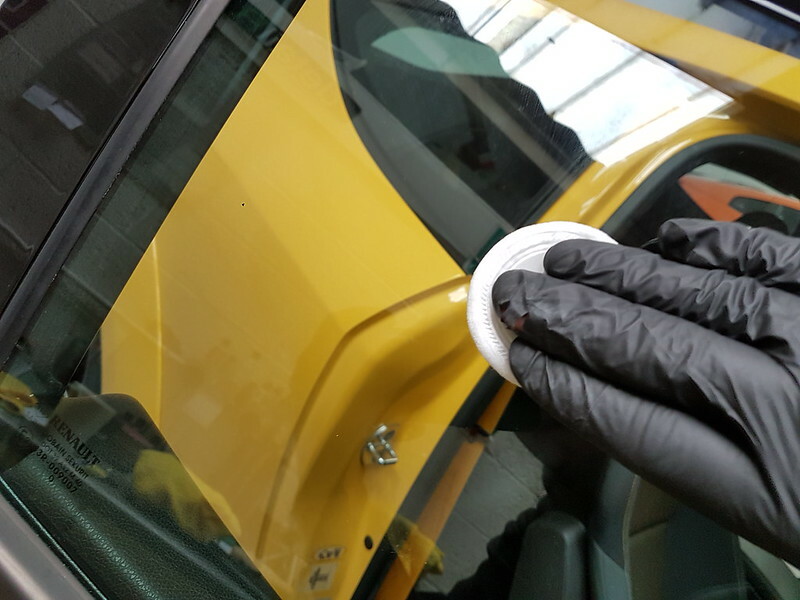 System X Crystal applied to the paintwork. 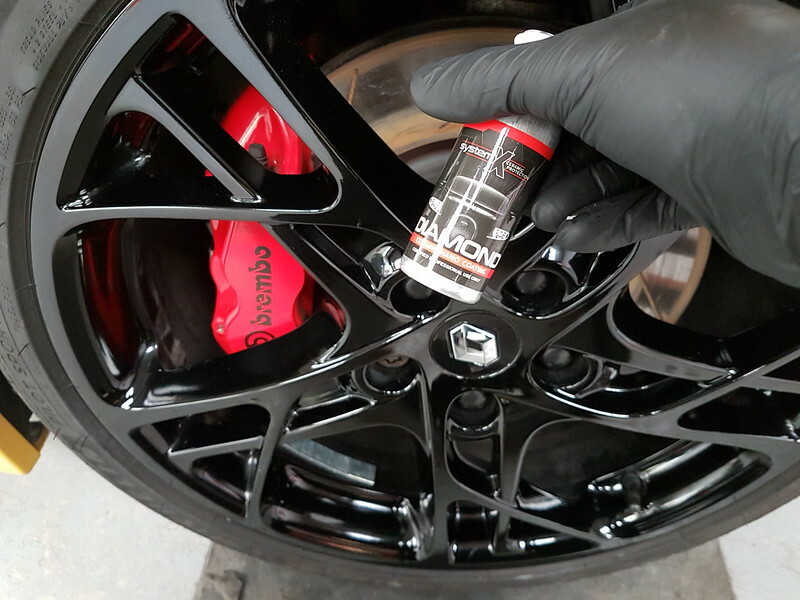 System X Crystal applied to wheel faces. 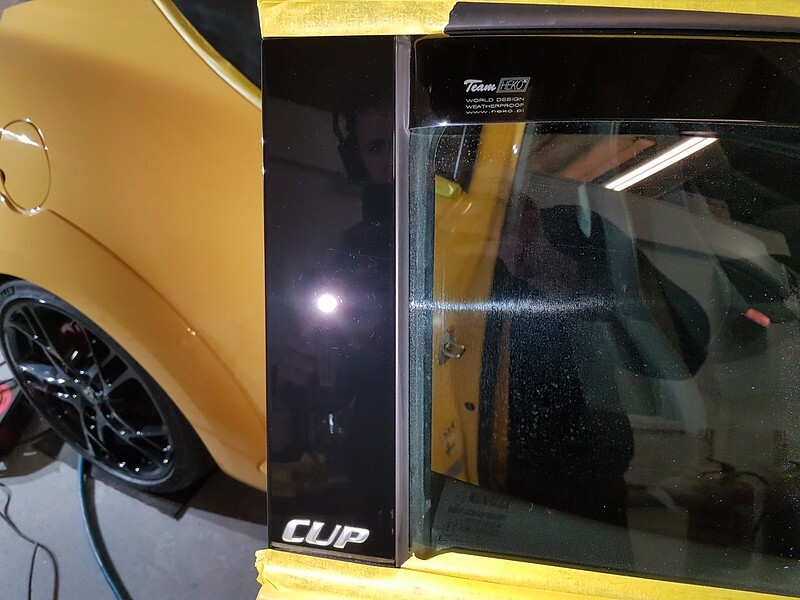 Exterior glass coated with System X Glass. 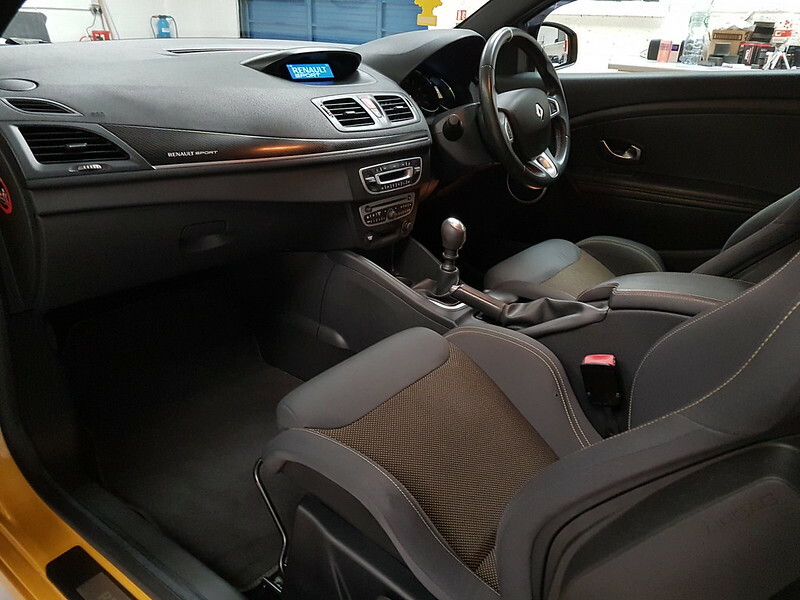 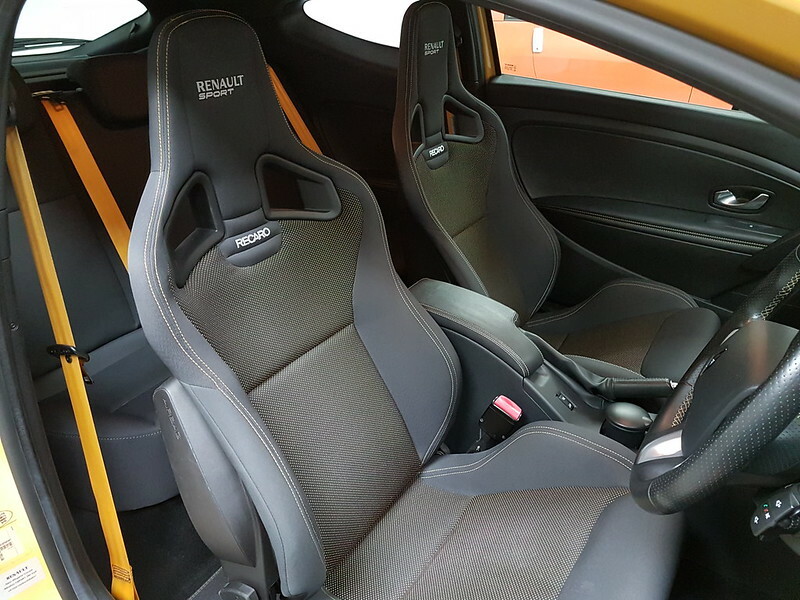 Interior cleaned and protected with System X. 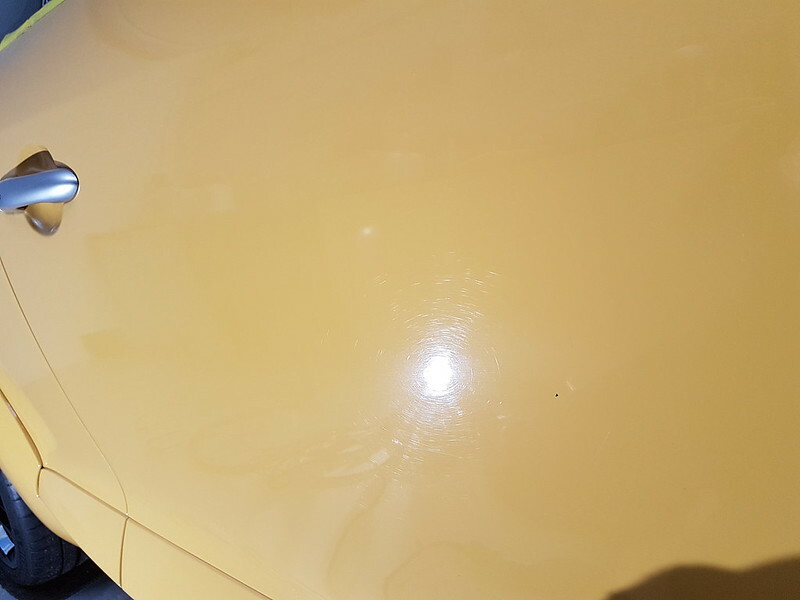 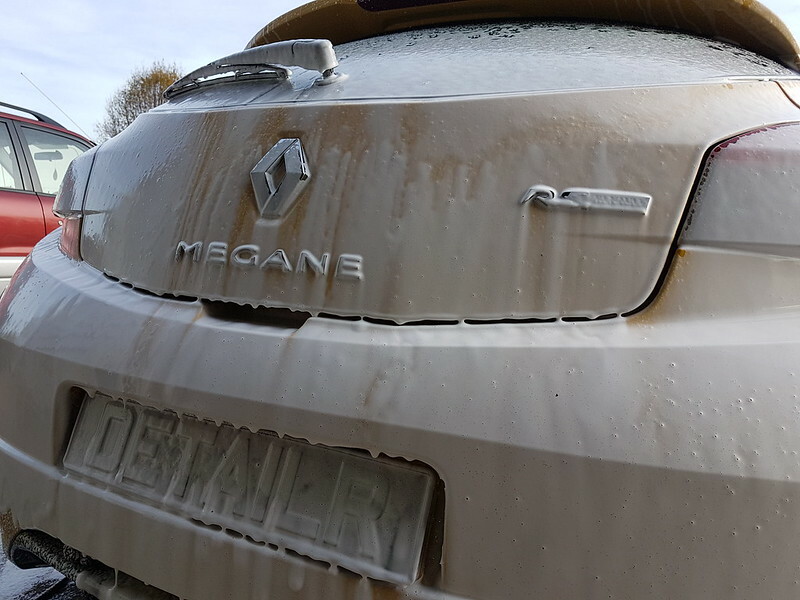 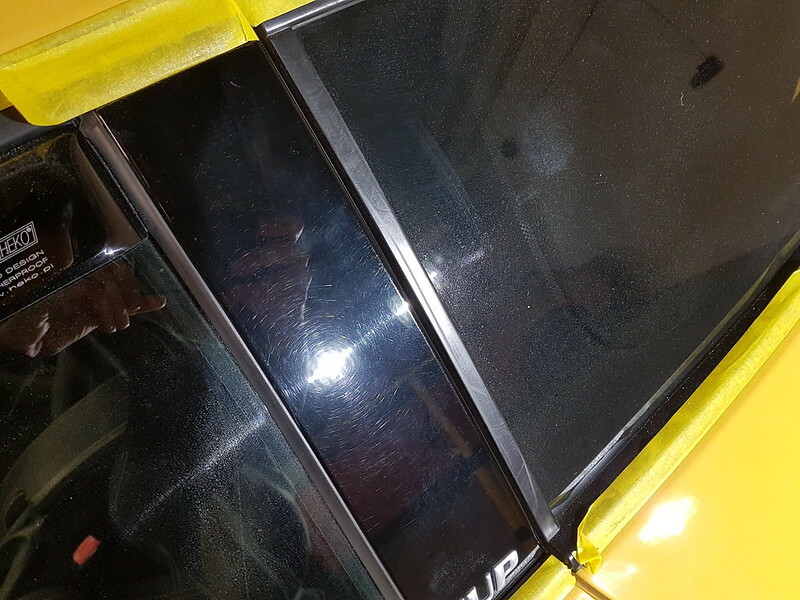 The current owner is a lot more enthusiastic about caring for their cars so it wasn't too dirty to begin with. 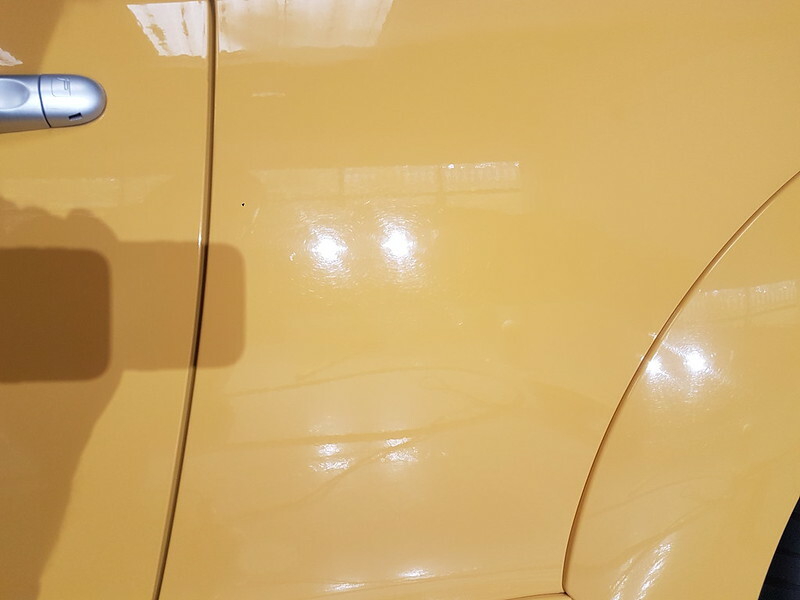 Onto some machine polishing before and afters. 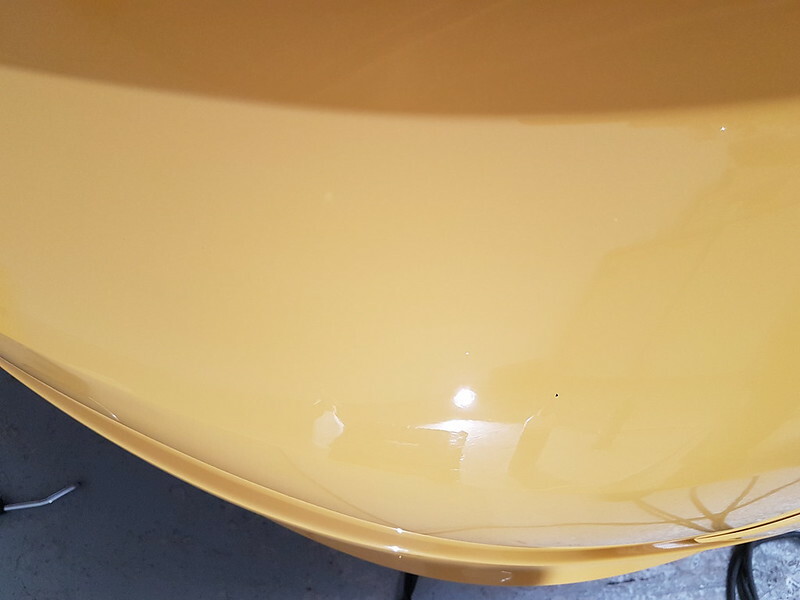 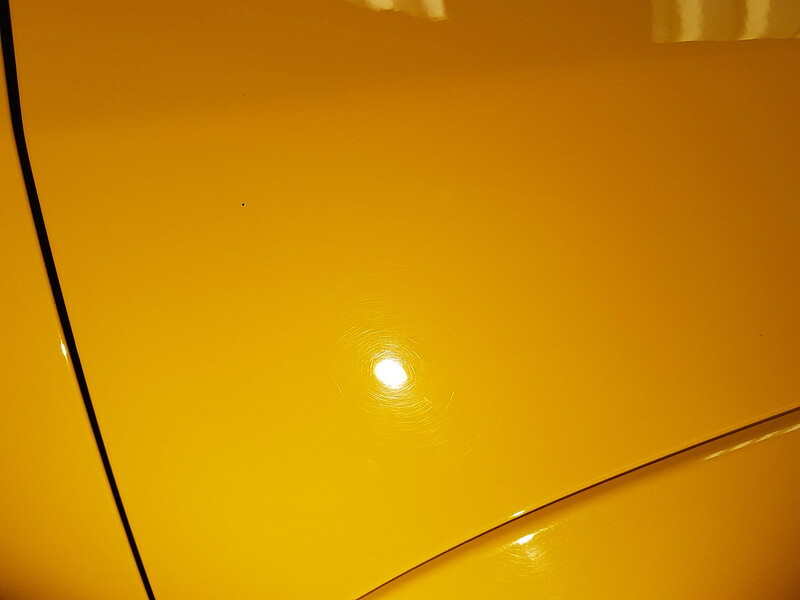 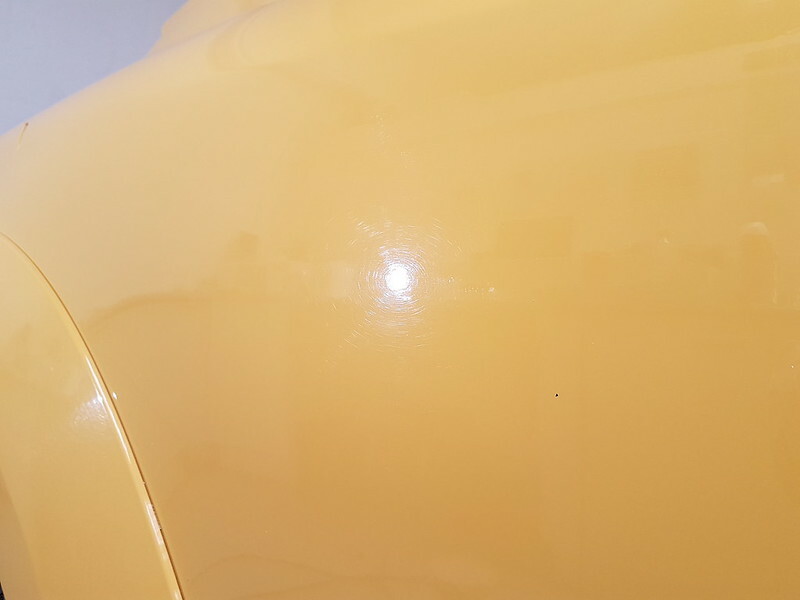 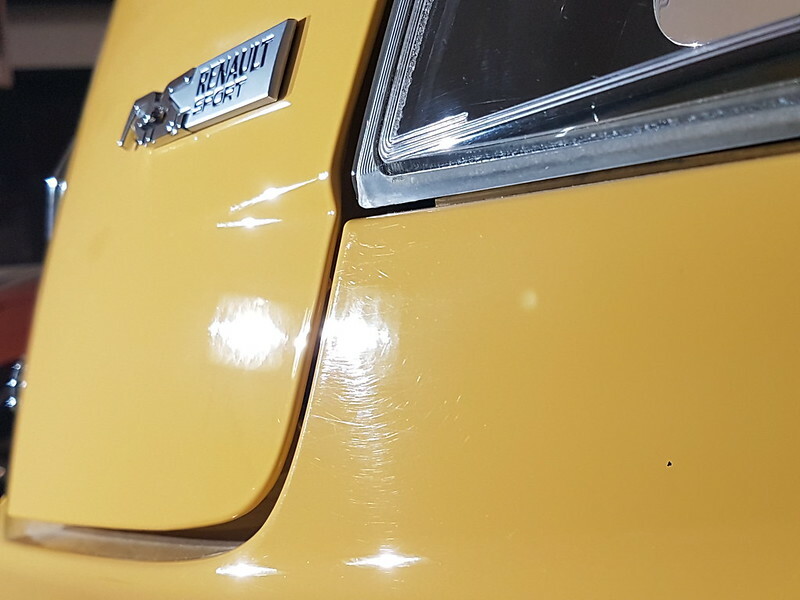 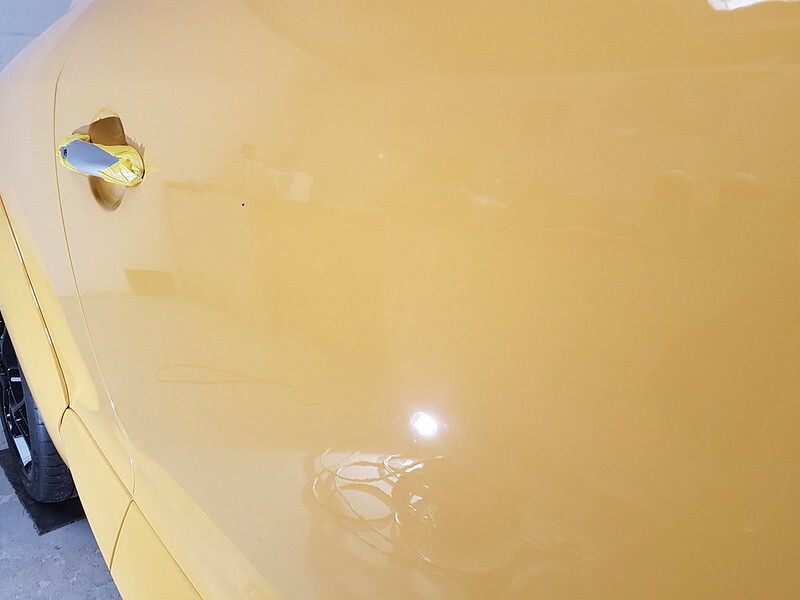 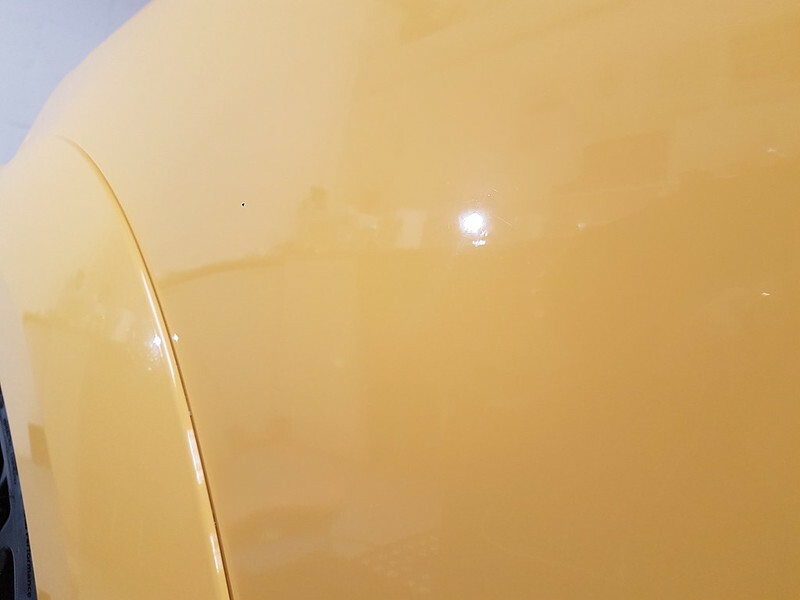 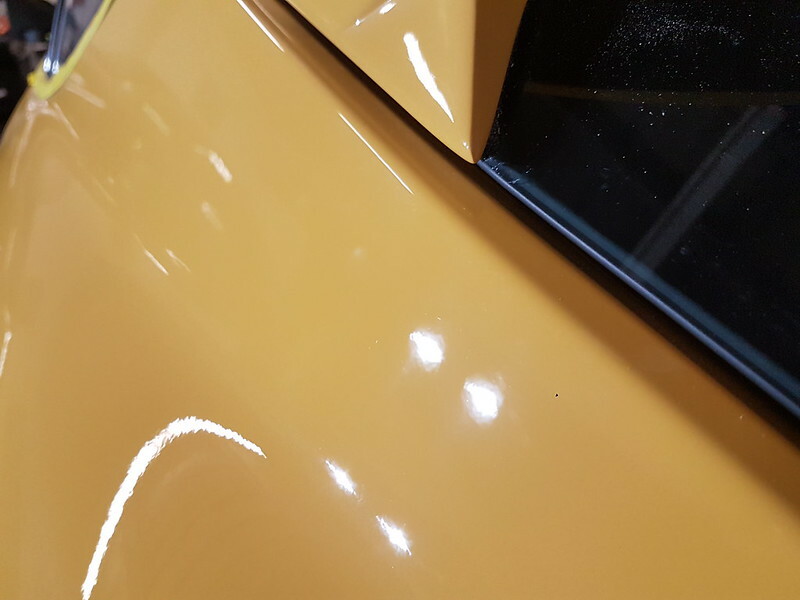 The paintwork was then refined further for more clarity and gloss. 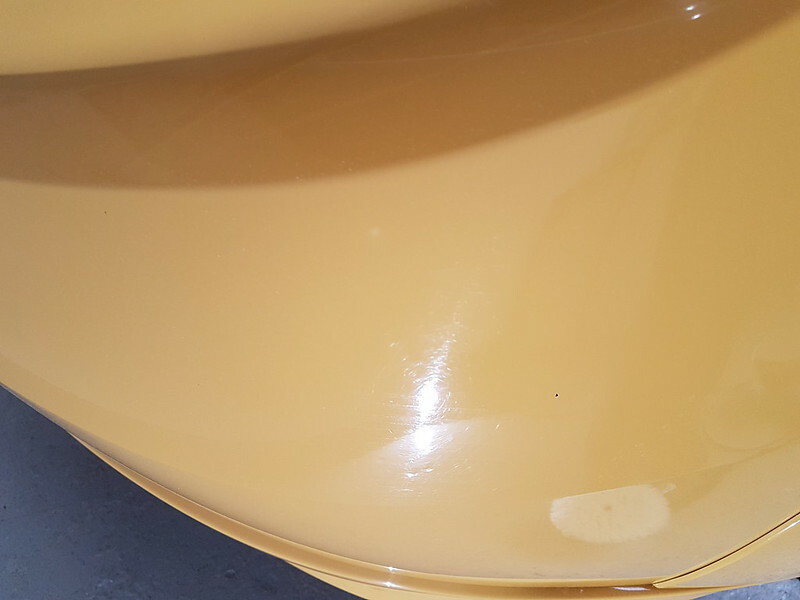 The wheel faces were coated with System X Diamond. 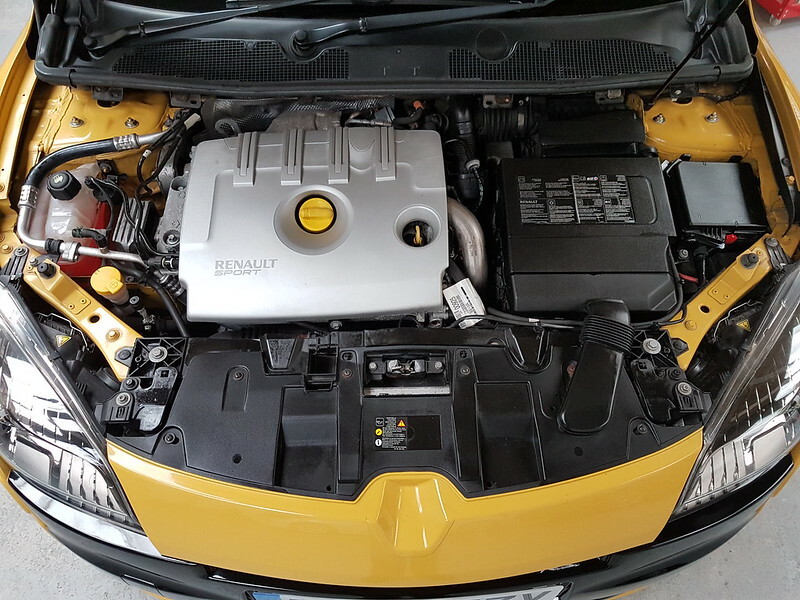 The engine bay received a light freshen up. 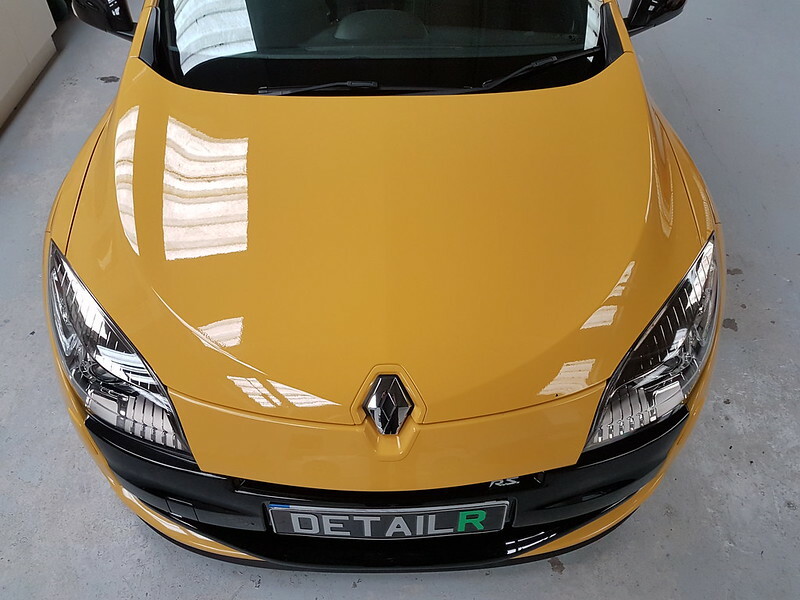 Great job on a brilliant car! 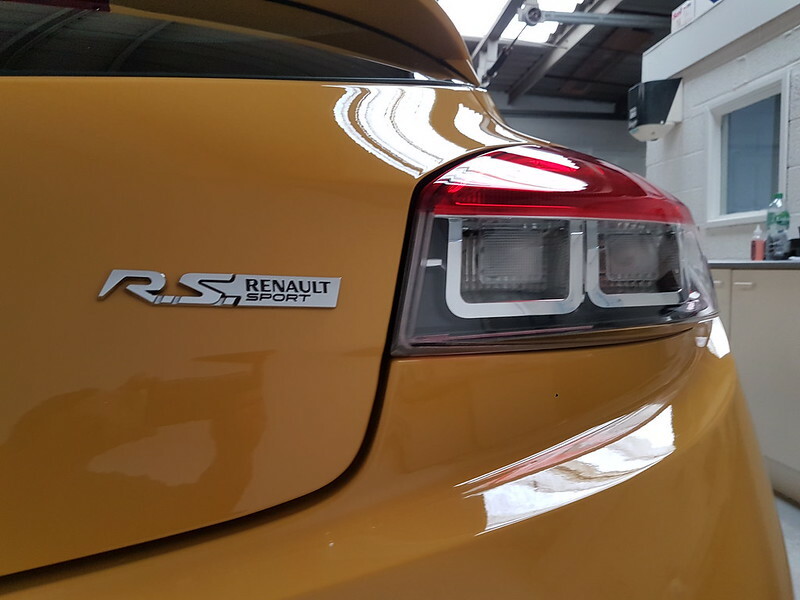 Certainly a big improvement. 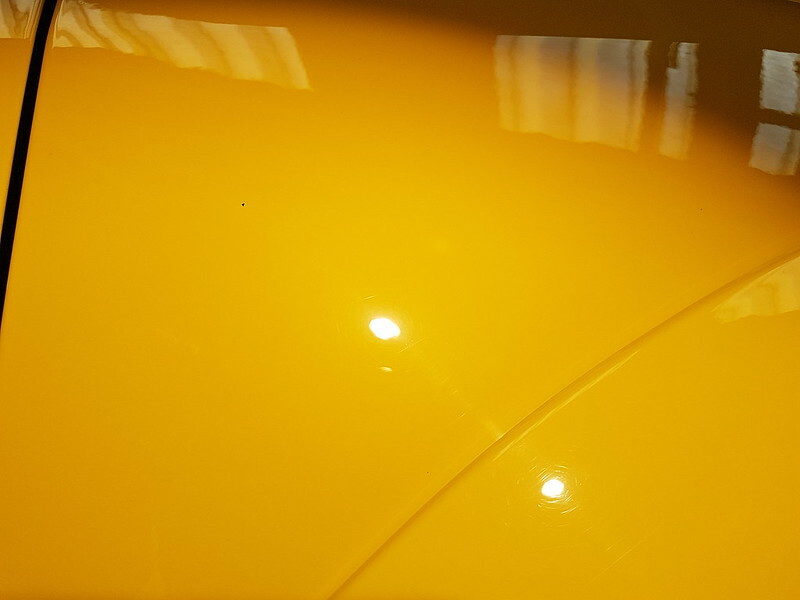 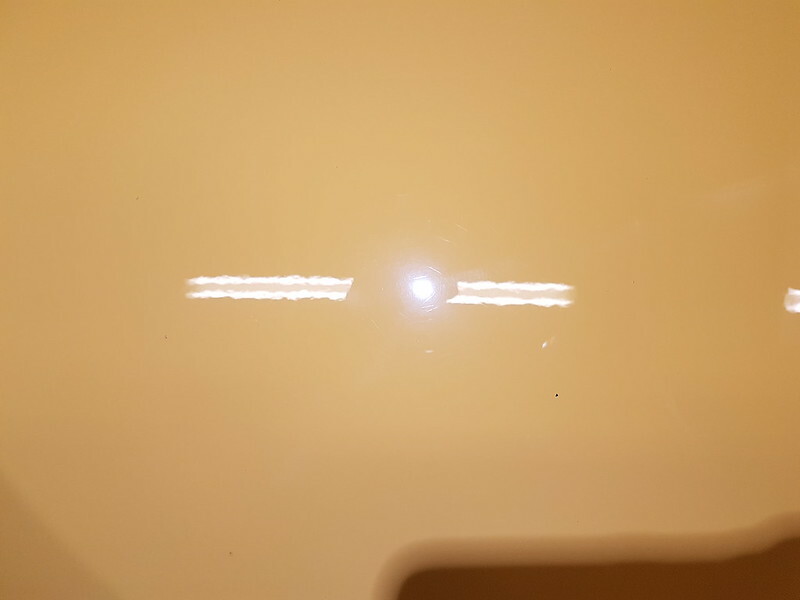 Yellow can hide swirls very well like white. 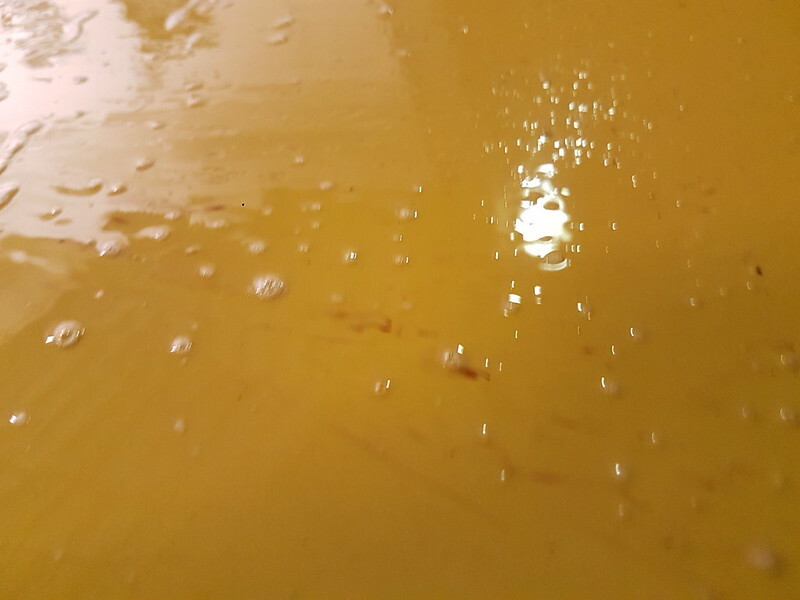 Koch Chemmie H8 on a KC wool pad. 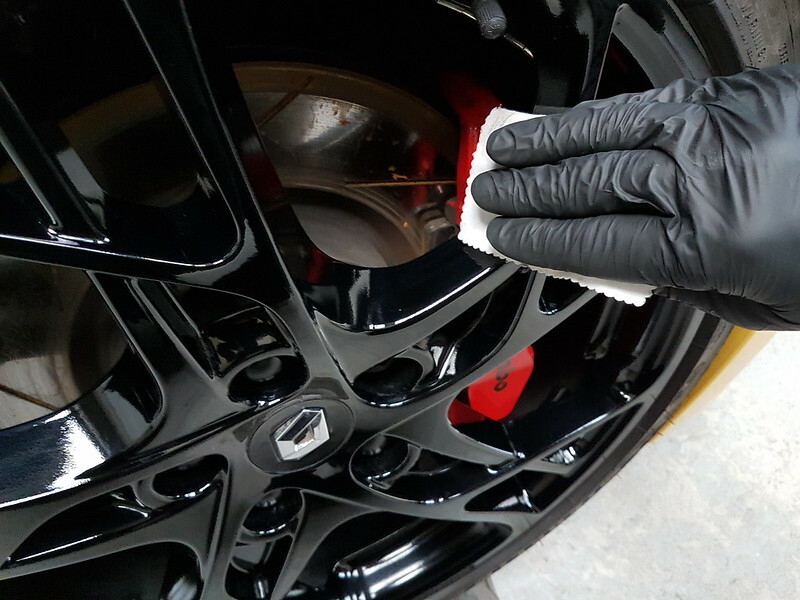 H8 on a Meguiars microfiber cutting disc. 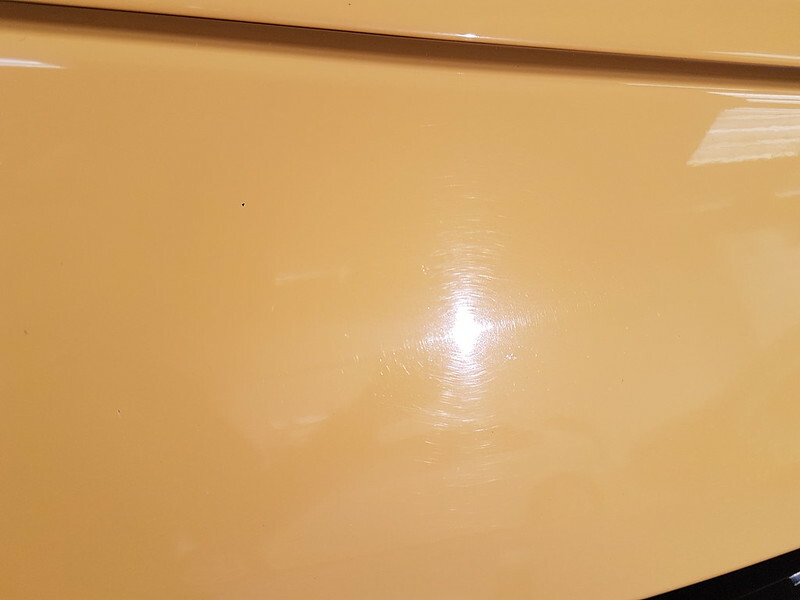 M2 on a Rupes yellow pad. 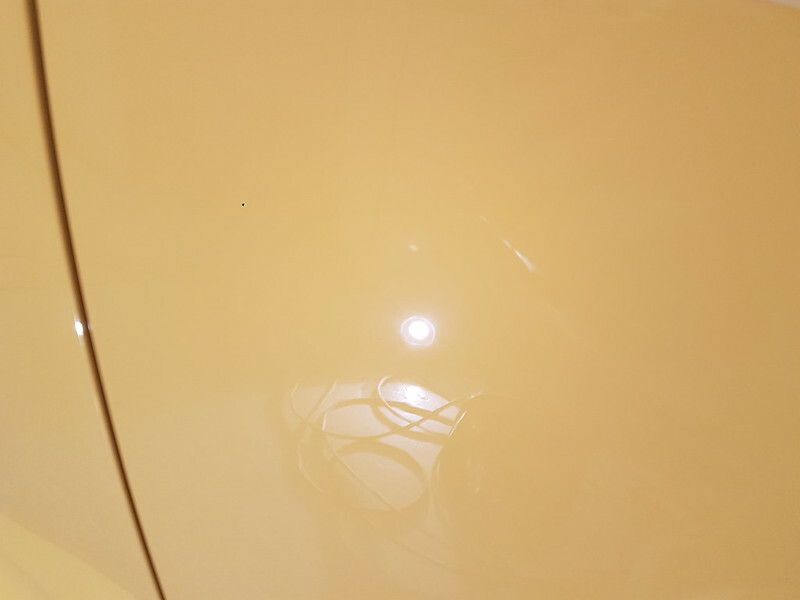 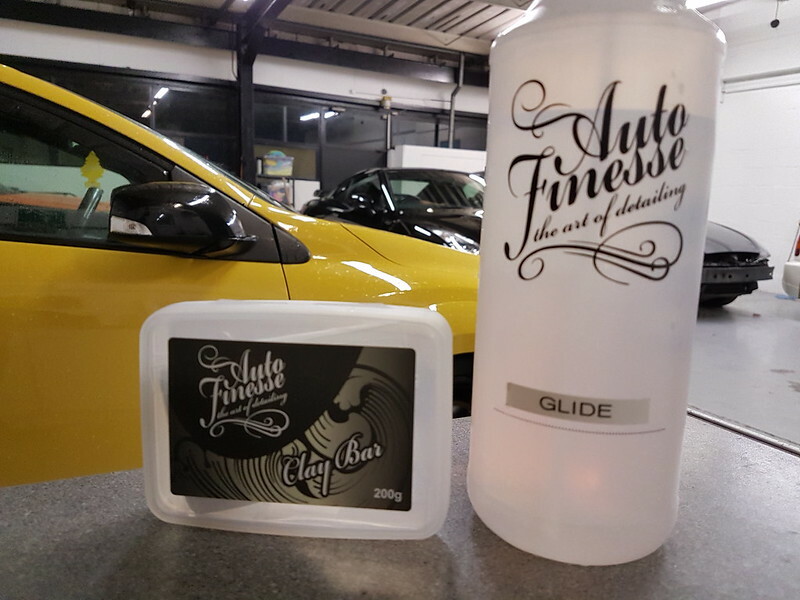 Car Pro Essence on a Royal Pads Red pad. 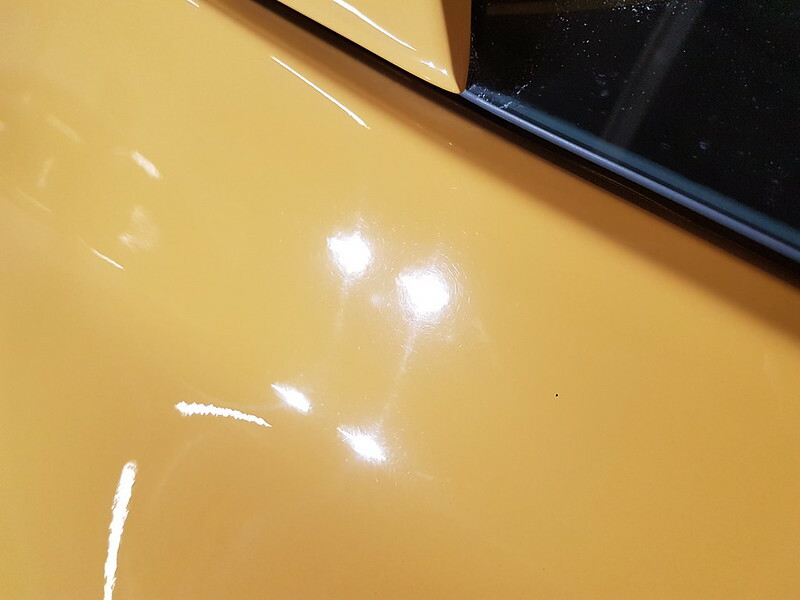 Last edited by detailR; 10-11-2018 at 05:38 PM.